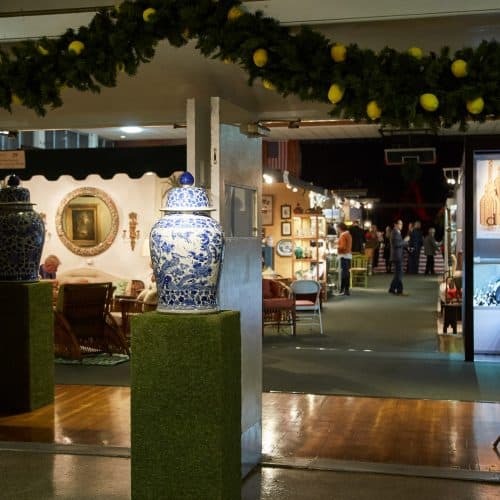 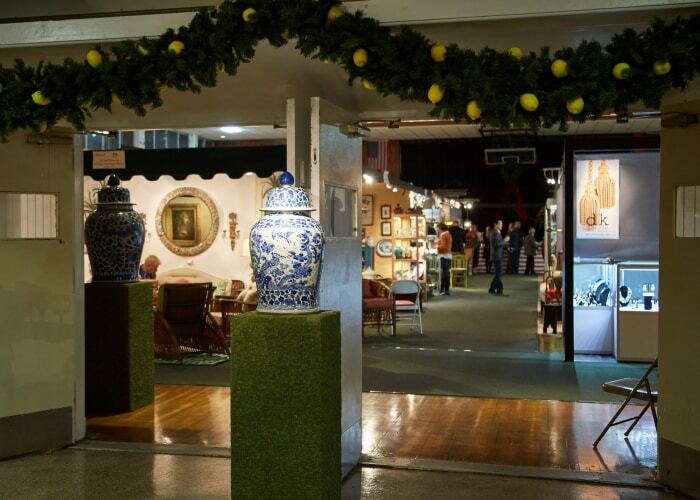 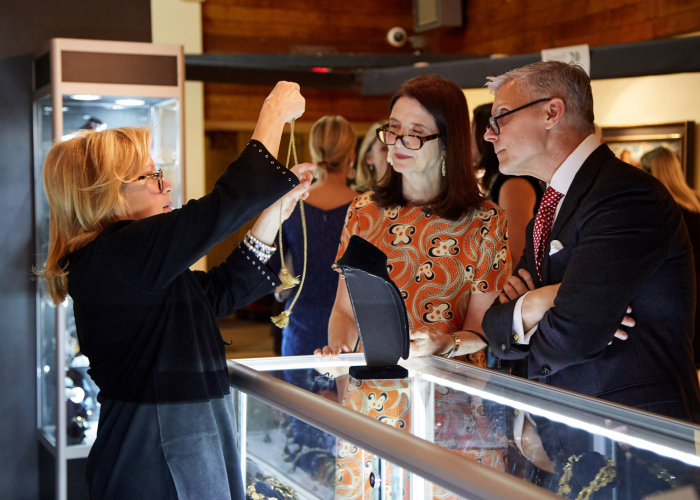 A festive Opening Night party for the Greenwich Winter Antiques Show: Fine Art, Jewelry and Antiques to benefit the history and art education programs and historic preservation work of the Greenwich Historical Society was held November 30, 2018 at the Eastern Greenwich Civic Center. 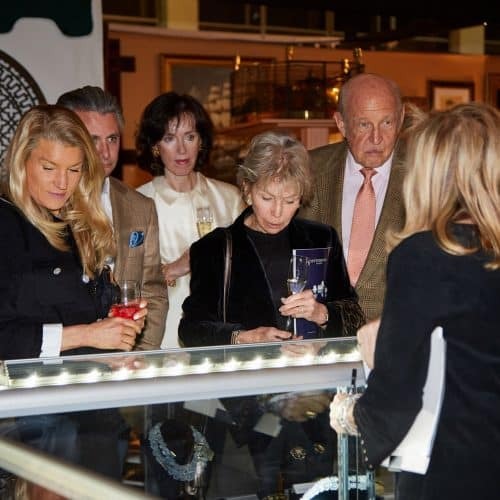 Décor was styled by Honorary Design Co-chairs David Monn, internationally known for orchestrating noteworthy parties including the Costume Institute Gala at the Metropolitan Museum of Art; and Alex Papachristidis, an Elle Décor A-Lister and a member of the Architectural Digest Top 100. 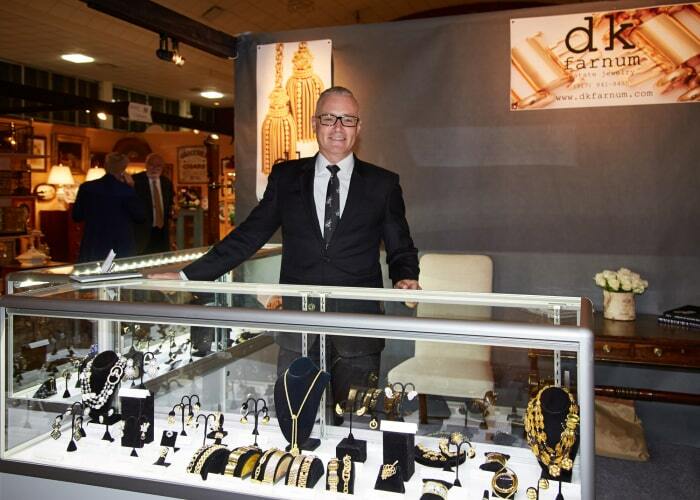 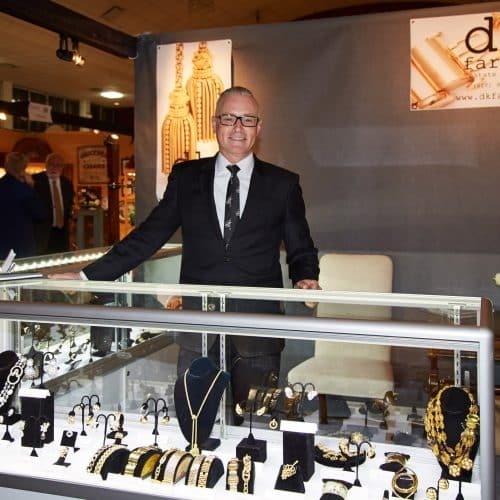 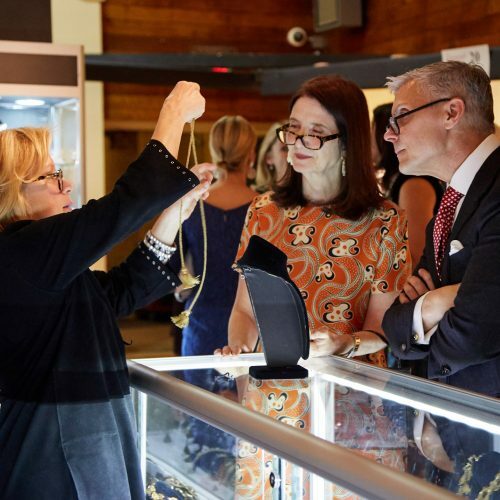 Guests browsed an array of items from approximately 40 nationally recognized exhibitors including DKF Estate Jewelry, in a show that continued to the weekend and was produced by Frank Gaglio, Inc. 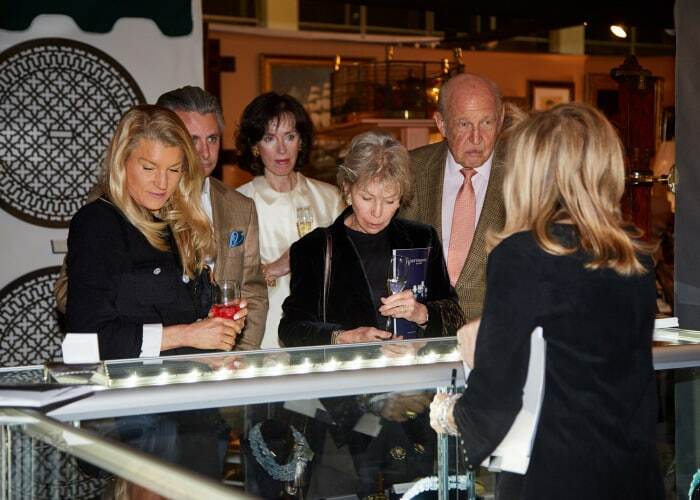 Check out all the opening party pictures at the Fairfield County Look.